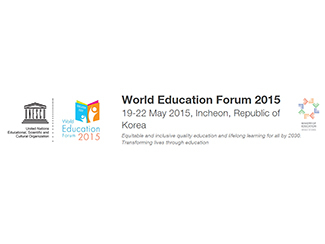 From 19-22 May, the global education community will come together at the World Education Forum (WEF) in Korea. The forum’s objective is to agree a joint position for the education goals and targets in the post-2015 Sustainable Development Agenda, which is expected to be adopted by the UN member states at the special summit on sustainable development in September 2015. 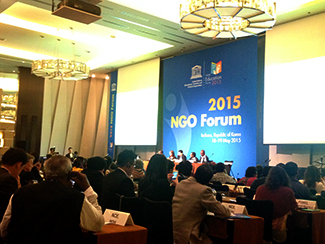 Today (Monday) and tomorrow morning, the NGO forum will provide a space for NGOs to agree on a collective vision for education post-2015 and reflect on strategies for civil society engagement in the coming agenda. The results of the NGO forum will be presented at the WEF opening ceremony tomorrow evening. Humana is attending the forum to share best practices from our experience in education and community development in the countries where we work. We also aim to take advantage of the opportunity to learn from and network with other NGOs in the sector.